When I was young, a phrase I heard rather frequently was “Don’t make a federal case out of it.” These days, however, you don’t hear that so often, probably because it’s now ridiculously common and absurdly easy for people to “make a federal case” out of nothing more than a gripe – provided it’s a politically correct gripe. 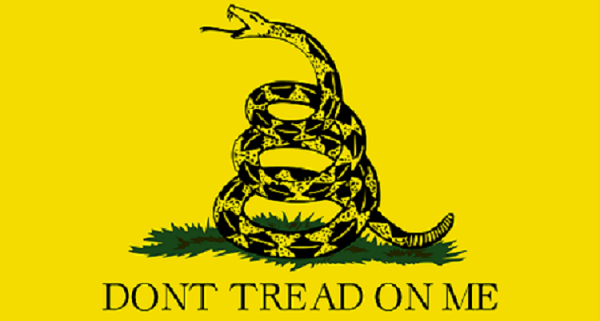 As an example, consider the recent Equal Employment Opportunity Commission (EEOC) case involving a post office worker who complained of illegal “workplace harassment” because another worker persisted in wearing a cap with the Gadsden Flag and its “Don’t Tread on Me” motto. What should be a symbol of liberty, patriotic displays and military history is now a petty complaint that we must now pay federal bureaucrats to investigate and resolve. So, not getting satisfaction from the Postal Service, Shelton D. did just what more and more Americans now do when annoyed – complain to a federal agency. The agency tasked with making all our places of work free from any actual or imagined discrimination of any sort is the EEOC. Nevertheless, the EEOC also declares that the flag is “sometimes interpreted to convey racially-tinged messages in some contexts.” Therefore, the case can’t be dismissed. Rather, the Postal Service must investigate further “to determine the specific context in which (the worker) displayed the symbol in the workplace.” The EEOC insists on having “evidence that would illuminate the meaning conveyed” by the wearing of the cap. So now the Postal Service must grill the worker to find out just what “meaning” the cap was intended to convey. He might say that he’s just fed up with high taxes and meddlesome government and wasn’t conveying any racially-tinged message to Shelton D. – but how can they be certain that’s all there is to it? Maybe the Postal Service will again decide that the complaint is groundless and maybe the EEOC will decide that the evidence adduced is good enough for it to drop the case. But however this dispute is decided, the fact that caps, clothing, and other expressions of views in the workplace can lead to regulatory trouble will have an impact on employers. Volokh explains that the case is about the rules that all employers “must follow on pain of massive legal liability.” Massive legal liability is the crucial point here; no employer (not even the USPS) wants to costs of having to defend against complaints lodged with the EEOC that it has allowed a “hostile work environment” by permitting workers to wear or display anything “insensitive” that could set another worker off. For that reason, they are apt to adopt rules against any apparel or other means of expression that could possibly lead to complaints about “harassment” or permitting a “hostile work environment.” If employers want to have rules against Gadsden Flag caps, Che Guevara shirts, or anything else, they should be free to make them, but the federal government shouldn’t push them into such rules. We are well on our way back to servitude when companies tell workers what they cannot wear for fear of trouble with our vast regulatory state. https://www.freedomfightersfoundation.org/wp-content/uploads/2016/08/2000px-Gadsden_flag.svg_.png 397 600 John Lamb /wp-content/uploads/2015/06/ff-logo-flag-340x92-300x81.png John Lamb2016-08-12 18:51:242016-08-12 19:39:58Wearing Gadsden Flag "Workplace Harassment"